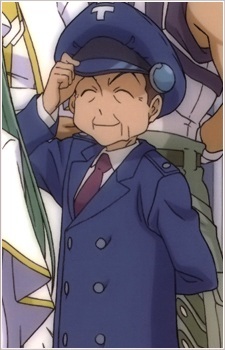 Anno Namihei is one of the postmen working on planet Aqua. He was the first person Akari Mizunashi met when she came to the planet, and also the one who brought her then sleeping self over to Aria company when he learned she would start working there. Because of that, he and Akari remained on friendly terms, which eventually lead to him borrowing Akari for a postal run when his own gondola needed repairs, or Akari sending him an invitation for the Redentore festival. Akari eventually learns about his real name after she becomes a prima and mr. Postman hires her, thus becoming her first paying customer. Privately, he's a generally friendly, good-natured old man, seemingly calm and confident, and, like most Aquans, prefers to do his work -- a job he thoroughly enjoys -- at his own pace, which is to say he performs his job in a calm, but efficient manner, his age not slowing him down in the least. He will also gladly help people out with tasks that are at least partially related to his job even if he's not required to.